Yesterday, the chef at my reading at Moevenpick Hotel and Spa in Bangalore had done such a nice job with recipes from Monsoon Diary. He had put a contemporary ‘five-star’ spin on the recipes from the book. 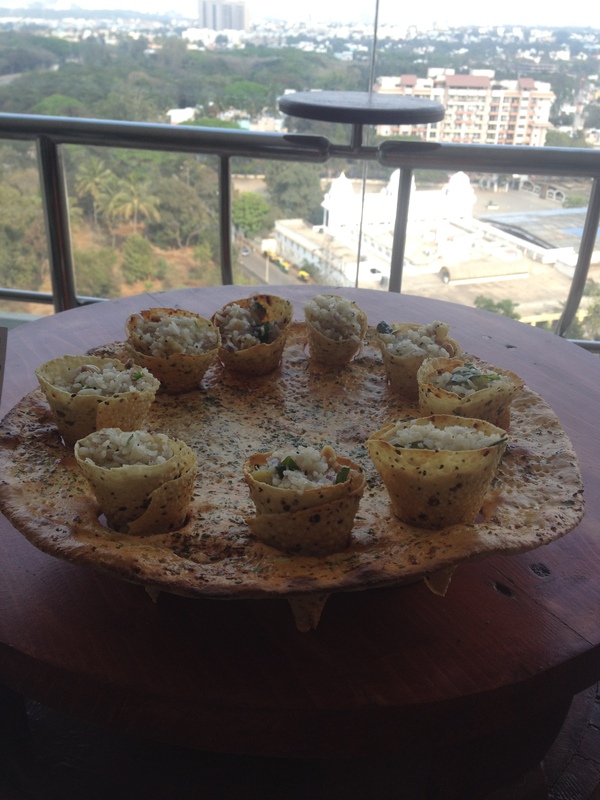 My favorite was the poha-stuffed-in-papad and displayed by making holes in what looked like lavash bread. Very creative.